Heat is the sum of kinetic energy of all molecules of a substance. We use the expressions of hot and cold in our daily life on a number of occasions. We use heat for cooking food and keeping our body warm. We can get heat from coal, gas or electricity and sun. The degree of hotness and coldness of an object is called its temperature. Temperature is usually measured in the Celsius scale or Fahrenheit. The normal human body temperature is 98.40 Fahrenheit or 36.90 Celsius. 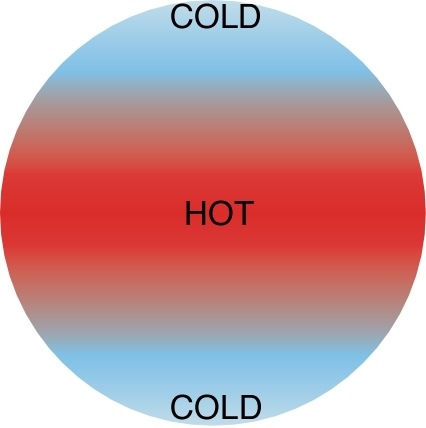 Temperature is a measure of how hot or cold a body is. Temperature is usually measured in the Celsius scale or Fahrenheit scale. Temperature of the system can be defined as the property that determines whether or not the body is in thermal equilibrium with the neighbouring system. If the number of systems is in thermal equilibrium, this common property of the system can be represented by the simple numeric value called temperature. 1. Heat is the form of energy that flows from the system to its surroundings. 1. Temperature is the result of heat. 2. Mass of the body affects the total heat. 2. Mass of body does not effect on temperature but depends on the molecular vibration of the body. 3. Heat is measured in joules or calories. 3. Temperature is measured in degree Celsius or degree Fahrenheit or Kelvin Scale. 4. Heat is measured by using a Calorimeter. 4. Temperature is measured using the thermometer. Heat is the sum of kinetic energy of all molecules of a substance. We use heat for cooking food and keeping our body warm. We can get heat from coal, gas or electricity and sun. The degree of hotness and coldness of an object is called its temperature. Write any two differences between heat and temperature. 1 Heat is a kinetic energy of all molecules of a substance. Temperature is the degree of hotness and coldness of a body. 2 Its SI unit is joule. Its SI unit is Kelvin. Name two common scales of temperature. The two common scales of the temperature are the Celsius scale and the Fahrenheit scale. What is the temperature of pure melting ice and that of steam on the Celsius scale? The temperature of pure melting ice and that of steam on the Celsius scale is 0 degree centigrade to 100 degree centigrade. Convert 100K into Celsius scale. Convert 220° C into Kelvin scale. One calorie is the amount of the heat required to raise the temperature of one gram of water by 1°C. Give the relation among centigrade, Fahrenheit and Kelvin scales. Unit of heat is ______. Device used for measuring temperature is ______. The hotness on an object is determined by its ______. The temperature of boiling water cannot be measured by ______. A wooden spoon is dipped in a cup of ice cream , its other end ______. The boiling point of water is ______. 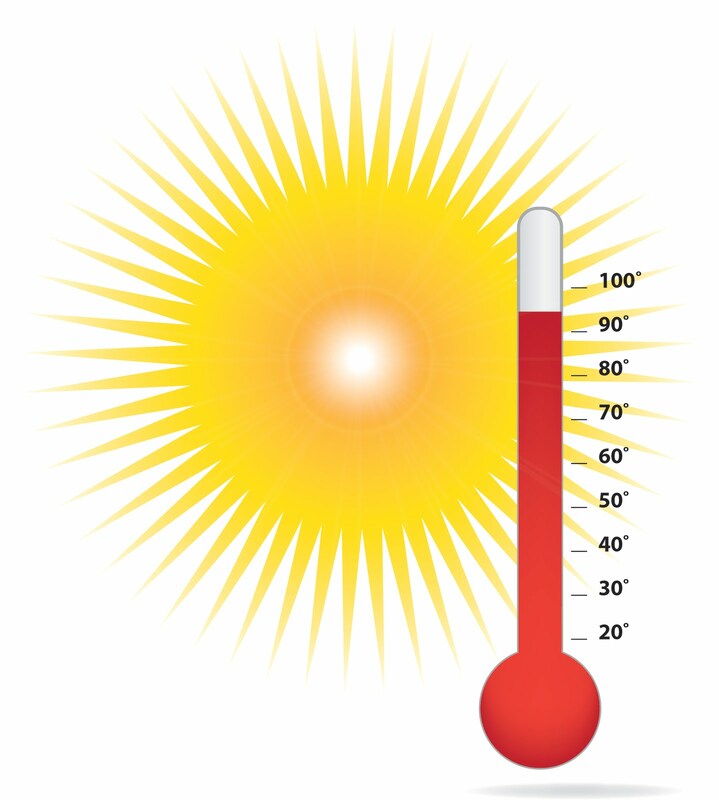 Higher the temperature of the body ______ the kinetic energy of the molecules of that body. What happens to the object when heat energy is supplied to it? The device that measures the degree of hotness and coldness of a body is called ______. Which is the most commonly used liquid in the thermometer? Process of division of temperature scale in thermometer is called ______. The advantages of using mercury in a thermometer is ______. Clinical thermometer was invented by ______. Clinical thermometer was invented in _______. The thermometer used to measure the maximum and minimum temperature of a day is called ______. Any Questions on 'Heat and temperature '?